A 19-year-old youth, who had consumed rat poison on learning that a pregnant woman who had received his HIV positive blood had contracted the virus, died in Madurai on Sunday, hospital authorities said. He had been undergoing treatment at Government Rajaji Hospital in Madurai for three days and died of Gastro Intestinal (GI) bleeding, they said. Actually he was stable. But the poison he consumed has a propensity to cause bleeding anytime. There was GI (stomach) bleeding early today and he vomited blood, S Shanmugasundaram, dean of Madurai Medical College and Government Rajaji Hospital told reporters. After he vomited, though the patient was treated as per protocol, which includes transfusion of four units of blood, he succumbed to the poison, the dean said. A worker at a firecracker unit in nearby Sivakasi and a native of Ramanathapuram district's Kamuthi village, the youth had consumed the poison on Wednesday. He was admitted to Government Rajaji Hospital on Thursday after preliminary treatment in hospitals at Ramnad and Kamuthi. The youth, not knowing that he was HIV positive, had donated blood on November 30. He found out only after he underwent a medical check-up days later as a requirement for a foreign job, local authorities had said. Though he informed the blood bank at Sivakasi to not use his blood, it had already been transfused to a Sattur-based pregnant woman by the first week of December, they had said. Reacting to the incident, Dravida Munnetra Kazhagam president M K Stalin sought immediate dismissal of Tamil Nadu Health Minister C Vijayabaskar and transfer of Health Secretary J Radhakrishanan. Attacking the ruling All India Anna Dravida Munnetra Kazhagam party, he said it was a disgrace that HIV infected blood had been transfused at a government hospital. "Though the transfusion of HIV infected blood at a government hospital has shocked everyone, the AIADMK government is playing with human lives through its indifferent attitude," the Leader of Opposition in the state assembly said. Stalin said the donor's death and another woman claiming that she contracted HIV following transfusion of blood at a government hospital in Chennai showed that there was a 'complete breakdown of administration'. Authorities of the Chennai hospital, however, have refuted the allegations. 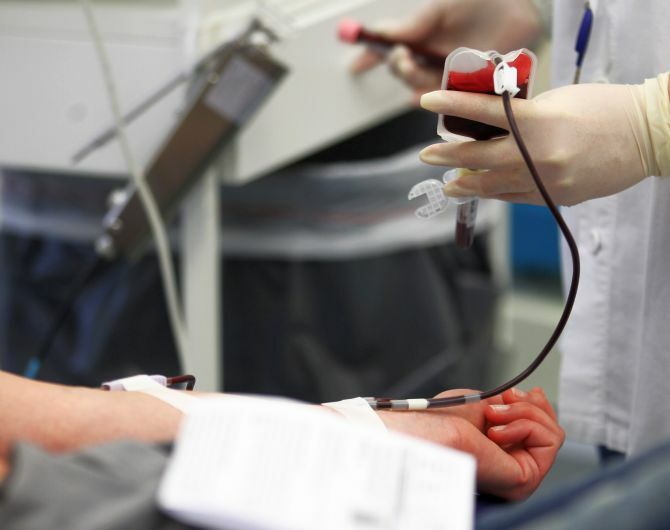 Stalin said the incidents raised doubts about safety practices in government blood banks and sought immediate measures to ensure that blood from donors was properly screened as per protocol in state-run facilities. BJP State unit president Tamilisai Soundararjan said government hospitals were the refuge of the common people and highly skilled doctors worked there. "The criticism of political parties should not shake the confidence of the people in government hospitals," she said. A few suspected terrorists looted four AK-47 rifles from the residence of a legislator in Srinagar on Sunday. The incident took place at the house of Congress Member of Legislative Council (MLC) Muzaffar Parray, who resides in Jawahar Nagar area of the city. 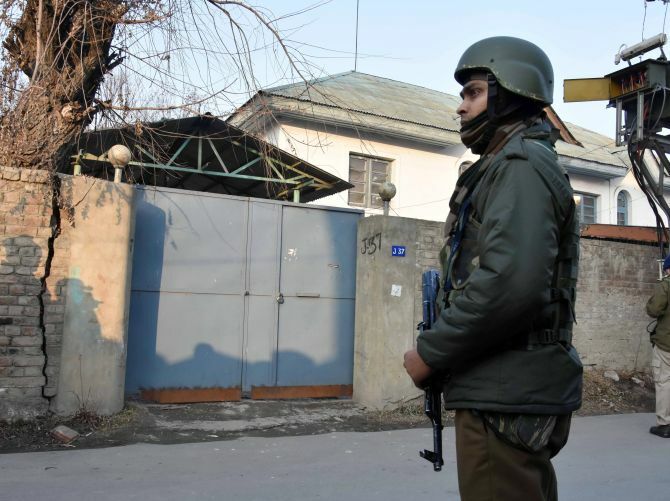 Police have filed a case and this regard and an alert has been sounded in Srinagar to nab the suspect terrorists. More details of this incident are awaited. Earlier in the day, a possible terror attack at a military station in Jammu was foiled by the alert Army jawans. The Army noticed some suspicious movement at around 2 am at Ratnuchak Military station and spotted two suspects approaching the Army gate. The gun battle ensued after the Army guards stopped the suspects. However, the suspects managed to flee the spot. Prime Minister Narendra Modi on Sunday announced renaming of three islands of Andaman and Nicobar on the occasion of 75th anniversary of Tricolour hoisting by Netaji Subhas Chandra Bose in Port Blair. The PM also released a commemorative stamp, its first-day cover and a Rs-75 coin on this special day. He also announced setting up of a deemed university after Bose. 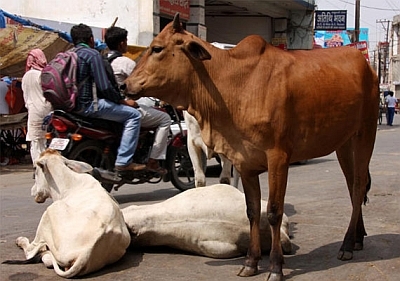 Farmers in rural hinterland of Uttar Pradesh's Agra district have locked up herds of stray cattle, especially cows, in schools and other government buildings alleging that the bovines are destroying their crops, amid a spate of such incidents in the state. On Saturday, villagers locked up stray cows in a school in Garhi Bachchi. A day earlier, cattle were locked up inside a primary school at Arela village in Etmadpur tehsil. Farmers rued that the bovines were destroying crops. Several farmers also raised concern over what they called as 'population explosion' of cattle. People do not know what to do with cattle which are usually chased away towards the urban clusters. The bulls in the city have caused several fatal accidents, they said. Spreading negativity is fairly easy, but people must come together to make positivity viral, Prime Minister Narendra Modi said on Sunday adding that collective efforts of the people have ensured that India achieved a lot in 2018. "...let's come together to make positivity viral. I do believe that by doing so, more and more people will get to know about our heroes who brought a change in society. Spreading negativity is fairly easy. But some really good work is being done around us...," Modi said. "Electricity reached each and every village of the country this year. Noted world institutions have accepted that the country has taken strides in the area of poverty alleviation at a record pace. 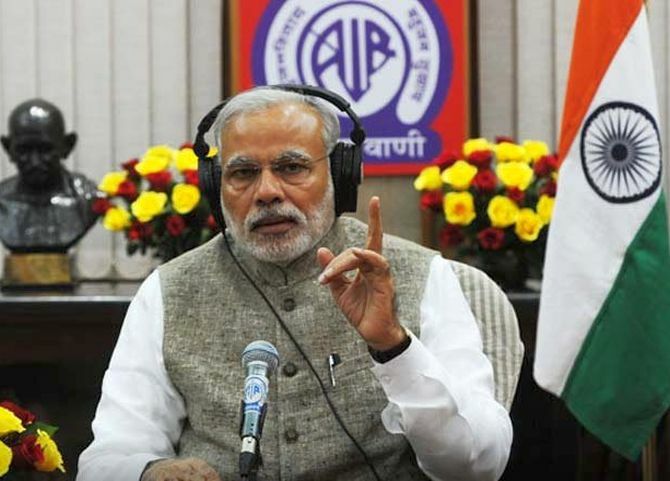 "On account of the unwavering resolve of our countrymen, swachchata, the sanitation coverage, is rapidly advancing towards crossing the 95 per cent mark," the PM said. For the first time ever after Independence, the Tricolor was hoisted at Red Fort besides the independence day celebrations. This was done to mark the 75th anniversary of the formation of the Azad Hind Government, he recalled. The highest United Nations Environment award, 'Champions of the Earth' was also conferred upon India, Modi said in his address. 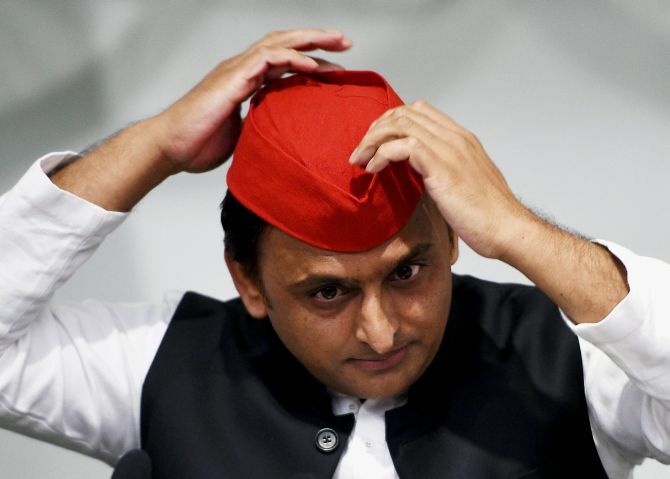 Samajwadi Party president Akhilesh Yadav on Sunday alleged that the police officers in Uttar Pradesh are following the 'Thoko Neeti' (encounter policy) of Chief Minister Yogi Adityanath to avoid getting transferred. Raising questions on the prevailing law and order situation in the state, the former chief minister claimed that criminals have 'doubled' in Uttar Pradesh under the Bharatiya Janata Party rule and 'law and order situation was not so bad earlier'. "UP Chief Minister Yogi Adityanath is advocating his Thoko Neeti (encounter policy) everywhere. Due to this, there is a trend among the police officials that they undertake encounters when they anticipate that they can be transferred. Their acts are emulated by their subordinates," Yadav told reporters in Lucknow. He alleged that there were numerous instances of crime against women. "Due to this, we are forced to cut a sorry figure in the global arena," he said. Attacking the BJP, the SP chief said, "This time, the government is not of the BJP, but of the Rashtriya Swayamsevak Sangh. "People in the government had taken two oaths -- one of the Constitution, the other of the RSS." "But, both these oaths are contradictory to each other. A number of poll promises were made by the BJP in its Sankalp Patra (poll manifesto), but after passage of more than one-and-half years, work on fulfilling the promises is yet to begin," Yadav alleged. 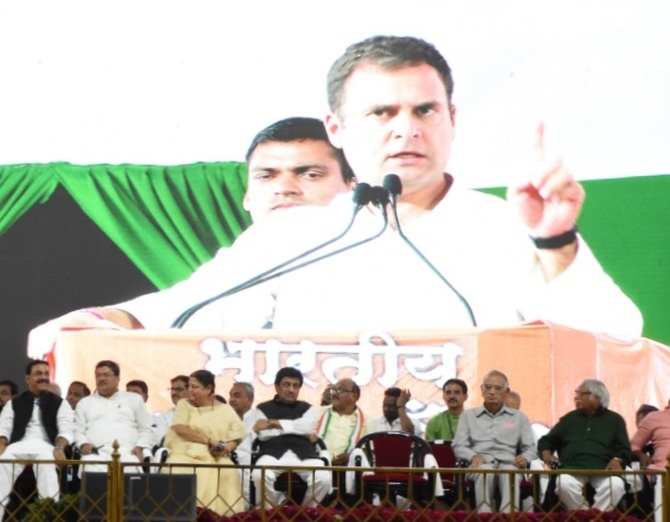 He also accused the BJP government of not fulfilling the promises made to the farmers, as a result of which, the SP chief claimed, lakhs of peasants have quit farming and are working as labourers to earn livelihood. Prime Minister Narendra Modi on Sunday condoled the death of noted film-maker Mrinal Sen, saying the country is grateful to him for giving some of the most memorable films. 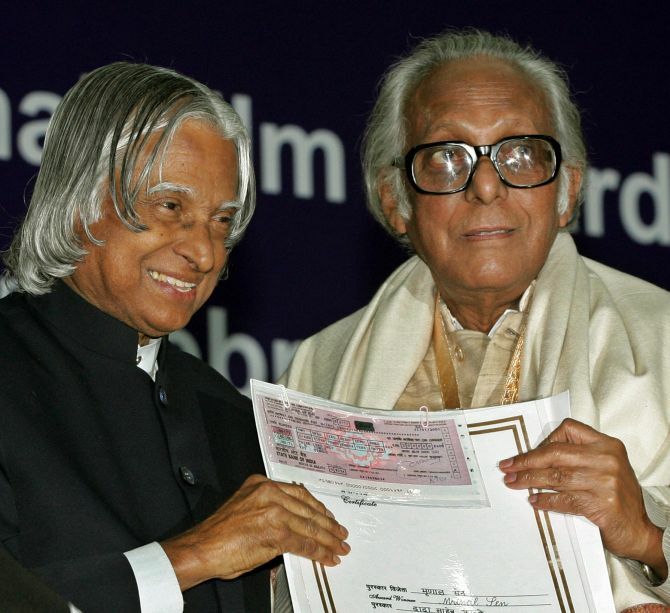 'Our country is grateful to Shri Mrinal Sen for giving us some of the most memorable films. The dexterity and sensitivity with which he made films is noteworthy. His rich work is admired across generations. Saddened by his demise. My thoughts are with his family and admirers,' he said on Twitter. A Dadasaheb Phalke award winner, Sen passed away on Sunday. He was 95. One person was killed and 10 vehicles were torched by Maoists in Bihar's Aurangabad district, a senior police officer said on Sunday. Superintendent of Police, Satya Prakash said the Maoists attacked Sudi Bigaha village under the jurisdiction of Deo police station area late on Saturday night and shot dead a man identified as Narendra Singh, 55. Senior police officers and Central Reserve Police Force Commandant Saurav Choudhary are camping in the village. The controversial Citizenship Amendment Bill may not able to get through during the Winter session of Parliament which comes to an end on January 8, sources said Sunday. This was an election promise of the Bharatiya Janata Party in 2014. However, in Monday's meeting the BJP may have its way in incorporating some 'contentious' provisions in the proposed legislation. Joint Parliamentary Committee chairman Rajendra Agrawal said the committee will try to finalise the bill through consensus after examining every clause. The BJP has 14 MPs, including Agrawal, in the 30-member panel. The Congress has four members while the Trinamool Congress and the Biju Janata Dal have two MPs each. The Shiv Sena, the Janata Dal-United, the Telangana Rashtra Samiti, the Telugu Desam Party, the Communist Party of India-Marxist, the All India Anna Dravida Munnetra Kazhagam, the Samajwadi Party, the Bahujan Samaj Party have one member each in the panel. The Congress, Trinamool Congress, the CPI-M and a few other parties have been steadfastly opposing the bill claiming that citizenship can't be given on basis of religion. Last time it had sought time for the presentation of the report was on the 'first day of the last week of the Winter Session, 2018'. 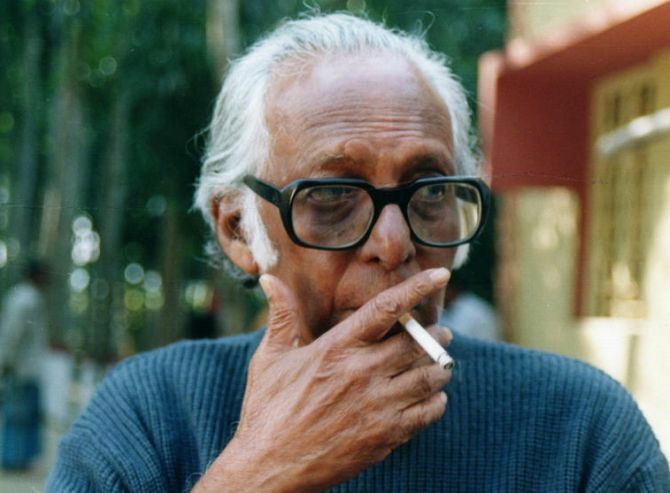 Dadasaheb Phalke award-winning film director Mrinal Sen passed away on Sunday after a prolonged battle with age-related ailments, family sources said. He was 95. The Padma Bhushan awardee, best known for films such Neel Akasher Neechey, Bhuvan Shome, Ek Din Achanak, Padatik and Mrigayaa, was one of the most acclaimed filmmakers of the country and an ambassador of parallel cinema. "Sen passed away today around 10.30 am due to age-related ailments," a family member said. 'Saddened at the passing away of Mrinal Sen. A great loss to the film industry. My condolences to his family,' she tweeted. Communist Party of India Secretary General Sitaram Yechury also remembered the filmmaker for his humanistic narrative. 'Mrinal Sen's passing away is a big loss not only to Cinema but to the world of Culture & India's civilisational values. Mrinal da radicalised cinematography by his people-centric humanistic narrative. Deepest condolences,' he wrote. Five people were killed in poll-related violence in Bangladesh on Sunday, local media reports said. Meanwhile, incumbent Prime Minister Sheikh Hasina is confident of the Awami League-led alliance, the Grand Alliance's win in the 11th Parliamentary elections. "I expect the win of Boat (the election symbol of Awami League-led alliance) is a must. 'Joy Bangla, Joy Bangabandhu' (Win for Bangla, win for Father of the nation Bangabandhu). Long live Bangladesh," Hasina told the reporters after casting her ballot at the Dhaka City College on Sunday. Polling is currently underway at 40,183 polling centres and 2,07,312 polling booths in the 299 constituencies. It will continue till 4 pm. However, voting has been postponed in the Jhenaidah 3 constituency by the Bangladesh Election Commission to January 27, 2019, due to the death of four supporters of the Jatiya Oikya Front's (National Unity Front) candidate. They were allegedly hacked to death by supporters of the ruling party at Kotchandpur upazila on Saturday. Security has been beefed up in 389 upazilas until January 2, to ensure a free and fair environment. The government has also shut down the mobile internet services in Bangladesh in the wake of the polls. 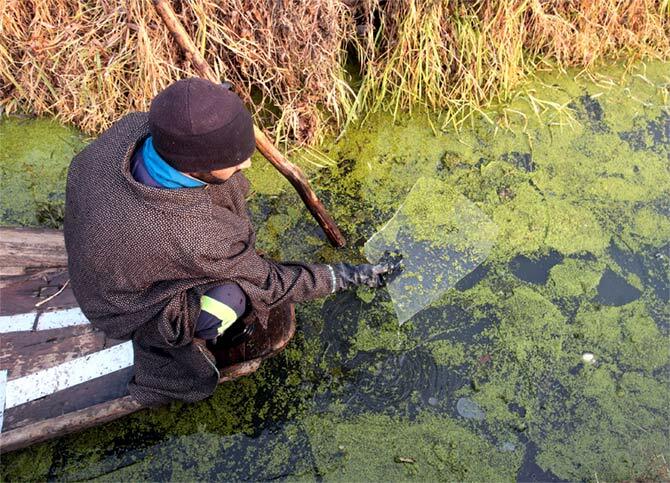 The residents in Kashmir experienced huge relief from the intense cold wave conditions as the mercury rose by several degrees across the valley and Ladakh region, even as the minimum temperature continued to settle below the freezing point, a MeT official said in Srinagar on Sunday. The night temperature in Kashmir division, including Ladakh region, rose by several degrees on Saturday night owing to a cloudy sky, providing huge relief to the residents from the intense cold wave conditions prevalent over the last few days, the official said. Srinagar recorded a low of -2.4C on Saturday night -- an increase of nearly 5 from -7.2C on Friday night. The official said Qazigund -- the gateway town to the valley -- in south Kashmir recorded a low of -1.8C -- up from -6.2C the Friday night. The nearby Kokernag town registered a low of -2.7C as against -5.8C on the Friday night. Kupwara in north Kashmir recorded a low of -3.4C on Saturday night compared to -6.0C on Friday night, the official said. The night temperature in Pahalgam, which serves as one of the base camps for the annual Amarnath yatra in south Kashmir, settled at a low of -2.5C on Saturday night -- up from -8.3C on the Friday night. The official said the ski-resort of Gulmarg in north Kashmir recorded a low of -4.0C -- an increase of three degrees from the previous night. The night temperature in Leh town in Ladakh region of the state increased over five degrees from the Friday night's -17.5C to settle at a low of -12.2C on Saturday night, the official said. 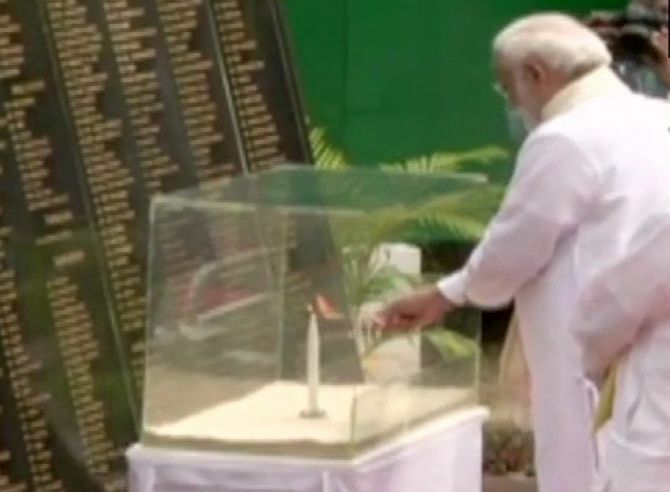 Prime Minister Narendra Modi paid floral tributes to the victims of the 2004 tsunami at a memorial in Car Nicobar in Port Blair on Sunday. 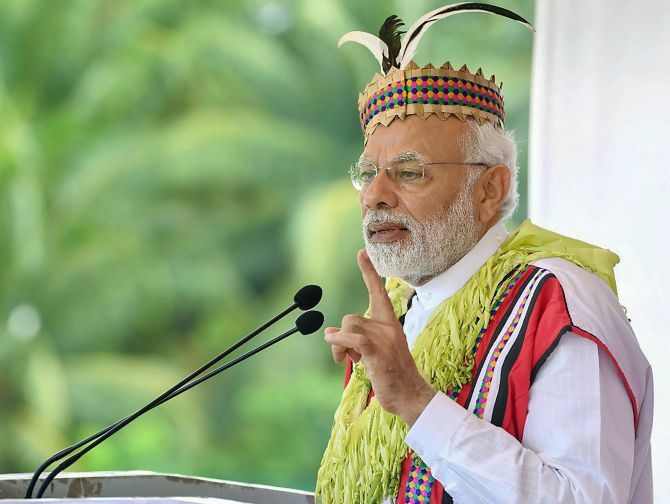 The prime minister who reached the Andaman and Nicobar Islands on Saturday evening is scheduled to meet tribal chiefs and attend a public function at BJR stadium in Car Nicobar. Later in the day, Modi will hold a review meeting with the local administration at Raj Bhawan, Port Blair, and hoist a high mast flag at South Point Sea Shore. He will visit the cellular jail at Port Blair and pay tribute to Netaji Subhas Chandra Bose to mark the 75th year of the freedom fighter's historic visit to the islands and the hoisting of the national flag at Port Blair. At the Netaji Stadium, the prime minister will release a commemorative postal stamp and coin. The prime minister will inaugurate a 7 MW solar power plant, and solar village. After a cop was killed and two others suffered injuries in stone pelting incident by some protestors Ghazipur, Nishad Party president Sanjay Nishad denied any involvement of his party workers in the matter, adding that the Bharatiya Janata Party is plotting against his party. Sanjay Nishad told ANI: "We need proper investigation in the case. It is the BJP who is plotting against us. Not our party workers but the BJP workers threw stones at people. "We're taking our demand of reservation ahead in a democratic manner. If my party workers are found guilty, we will take strict action against them. It is easy to blame the weak as Yogi ji and Modi ji are in power." This comes after the prime minister addressed a public gathering in Ghazipur, where Nishad party workers were protesting to put forward their demands of reservation for Nishads. As a precautionary measure, in view of the PM's event, police had also arrested some leaders of the party. Allegedly agitated by this, some protestors indulged in stone pelting on the police party near Atwa Mor police booth.Sharing details of the same, Mahipal Pathak, CO, Sadar said, "The police constable was posted in the Prime Minister duty. 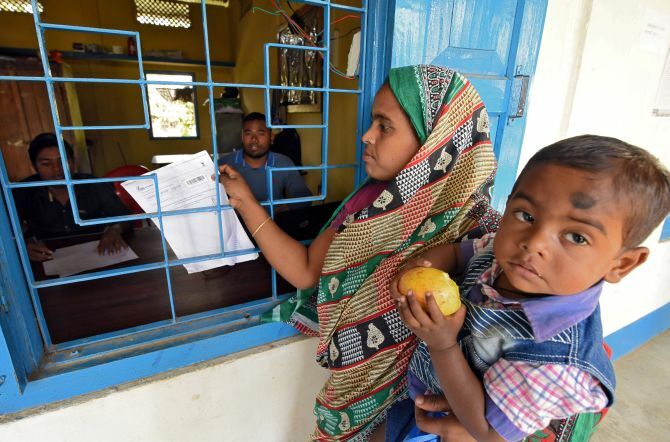 "He was returning after the duty when some protesting workers allegedly of Nishad Party pelted stone near Atwa Mor police station in Naunera area. The constable was injured in the incident and succumbed to his injuries." Two others were injured in the incident and have been admitted to the district hospital for medical assistance. Uttar Pradesh Chief Minister Yogi Adityanath has taken cognisance of the unfortunate death of Constable Suresh Vats and has announced Rs 40 lakh compensation for the wife of the deceased, informed Chief Minister's office. 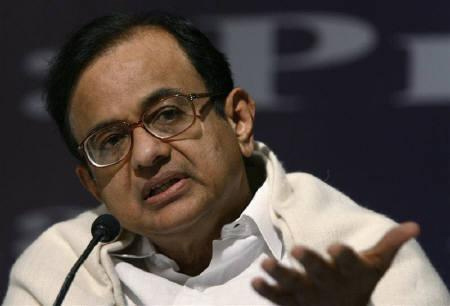 Former union minister P Chidambaram has hit out at the way the name of UPA chairperson Sonia Gandhi was linked by the Enforcement Directorate to the AgustaWestland case and lashed out at the media trial in the case. In a series of tweets, the senior Congress leader said that if the government, the ED and the media have their way, cases will be tried on TV channels in this country. Further, the Criminal Procedure Code and the Evidence Act will not apply. What ED says will be oral evidence, any piece of paper ED produces will be documentary evidence, and what the TV channel pronounces will be the judgment, he tweeted. Even kangaroo courts hold trials in a courtroom. Our new 'improved' system will surpass kangaroo courts and deliver justice on TV channels, he added. Chidambarams remarks came after the ED told a Delhi court on Saturday that during the questioning, alleged midddleman Christian Michel had taken Mrs Gandhis name in reference to a query, but had later managed to hand over a chit to his lawyer seeking directions on what to say if asked follow-up questions about her. The ED said that on December 27, when the statement of Michel was being recorded, the accused turned towards his lawyer and secretly handed over a folded paper to his counsel while shaking hands. 10:30 One killed, 10 injured in clash between Awami League and BNP supporters in Bangladesh: Local media. 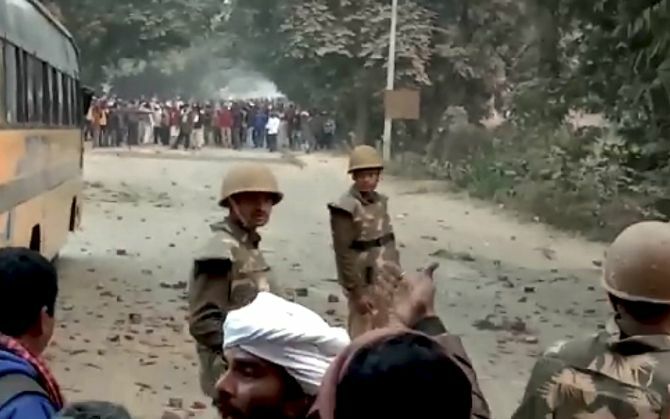 A police constable was killed and some other people injured in mob violence by Nishad Party workers in Uttar Pradeshs Ghazipur district, barely 15 kilometres from the venue of Prime Minister Narendra Modis rally on Saturday. The rioters also pelted stones on vehicles of local BJP leaders and workers returning from the rally. Taking serious note of the incident, chief minister Yogi Adityanath, who himself was present in the rally, directed the district magistrate and superintendent of police to take strict action against the unruly elements and make immediate arrests. He condoled the death and announced Rs 40 lakh and an extraordinary pension for the constables wife, Rs 10 lakh for his parents, and a job for one of his dependents. The deceased constable, as per the chief ministers office, was identified as Surendra Vats, 45. He is the second policeman killed in mob violence this month after police inspector Subodh Kumar Singh was shot dead in Bulandshahr. 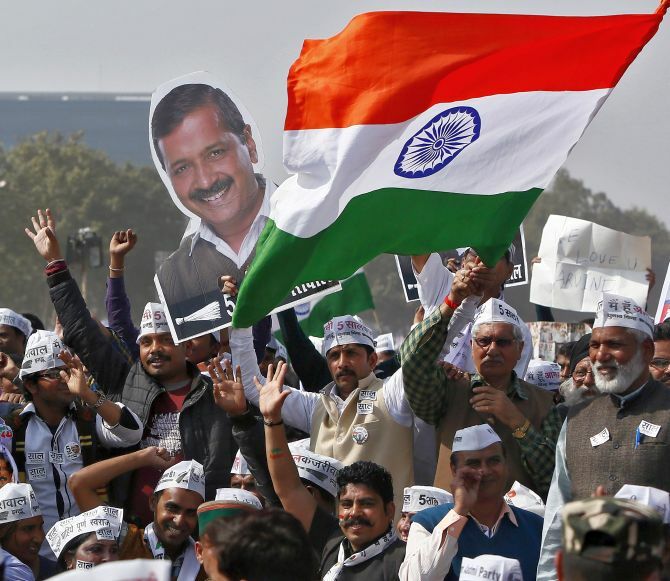 The national council of the Aam Aadmi Party took a unanimous decision to extend the term of all its office-bearers, including that of party chief Arvind Kejriwal, by one year. AAP Delhi unit convener Gopal Rai said, "Representatives of 20 states were present in the meeting. All members of party including those who are MPs in Rajya Sabha were also present." He also informed that AAP candidates will be contesting in Delhi, Punjab, Goa and Haryana. Hitting out at the Bharatiya Janata Party, Rai asserted that the AAP is committed to overthrow the Narendra Modi led government in the upcoming Lok Sabha polls. Former Prime Minister H D Deve Gowda said he too was an "Accidental Prime Minister"
amid a political row over the movie with the same title. 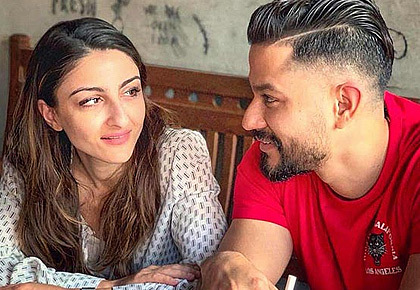 The movie is based on the book of the same name by Sanjaya Baru, who served as Singh's media adviser from 2004 to 2008. The film's trailer was released in Mumbai on Thursday. 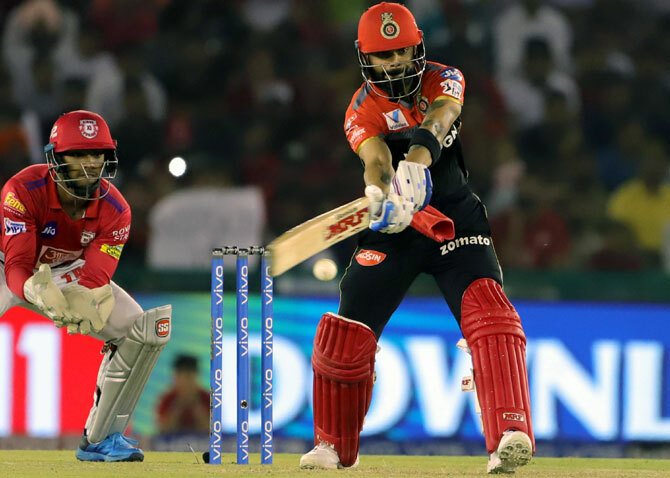 Reacting to a question over the controversy, the 85-year-old JD-S supremo said "Actually I don't know, why that was allowed... I think it started three or four months ago. "I don't know who has permitted, why? honestly, I have not gone through this so called Accidental Prime Minister. 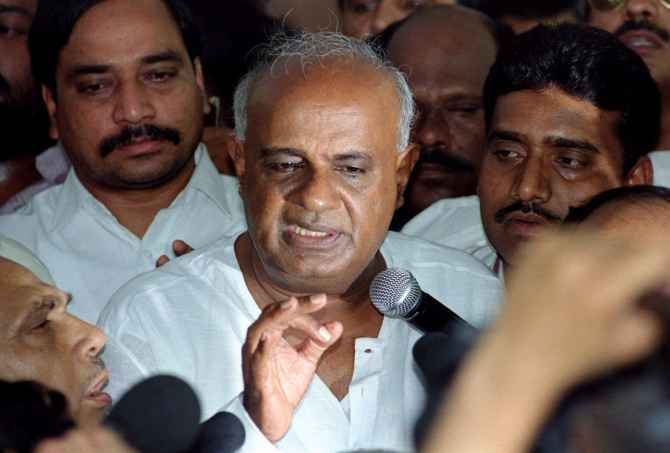 I'm also (an) Accidental Prime Minister," Gowda said in a lighter vein. In the 1996 general elections, no party won enough seats to form a government. The United Front, a conglomeration of non-Congress and non-BJP regional parties, decided to form the government at the Centre with the support of the Congress and chose Gowda to head the government. He served as prime minister from June 1 1996 to April 21 1997 with the help of regional parties and Congress. Later when Congress withdrew support, Gowda had to step down. Voting began in a Bangladesh general election on Sunday which is expected to deliver a record fourth term for Prime Minister Sheikh Hasina. Polls opened at 08:00 am amid tight security following a campaign that was marred by violence and allegations of a government crackdown on opposition activists. 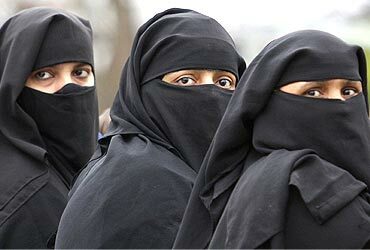 The contentious triple talaq bill seeking to criminalise instant divorce is set to be tabled in the Rajya Sabha even as the Congress said it will not allow the passage of the proposed legislation in its present form. Law Minister Ravi Shankar Prasad will table the bill in the Upper House after it was cleared by the Lok Sabha on Thursday amid a walkout by the Opposition. The bill was passed by the Lower House with 245 voting in favour and 11 opposing it. 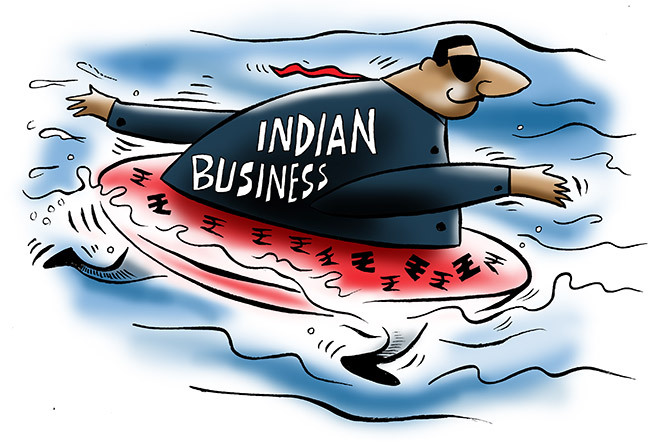 Prasad had on Friday claimed that the bill will find support in Rajya Sabha, where the BJP-led NDA lacks numbers. It is listed in the Rajya Sabha's legislative agenda for Monday. All India Congress Committee general secretary K C Venugopal told reporters in Kochi that the party would join hands with others to prevent the bill from getting passed in the House, he told reporters in Kochi. "The bill will not help empower women," the Congress leader said.